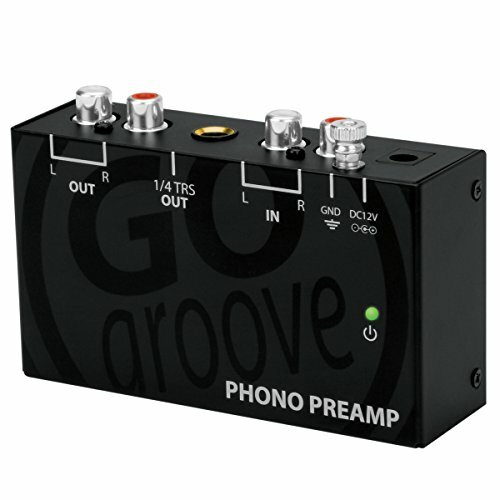 A phono preamp boosts your turntable's phono audio level up to a more speaker/stereo receiver-friendly line level , giving you better volume and increased sound quality. If you're planning on hooking up your turntable to a computer , stereo receiver , bookshelf speakers , or any other modern audio equipment , you're going to want this preamp to get the high sound quality that you expect from vinyl. Most likely , you do. The majority of newer stereo receivers and speakers lack a phono input , which would directly connect them to the turntable. You'll need the preamp to connect to the phono output of the turntable and the line input of the receiver/speakers. And even newer turntables that may feature a built-in preamp probably aren't going to give you the highest quality sound that could be achieved from an external preamp. You don't need to be a sound engineer or techie to understand this preamp's setup process. It takes only a minute to power up the preamp with it's included 12 Volt DC Adapter. After that , it's just a matter of using RCA cables (NOT INCLUDED) to hook the preamp to both your turntable and your stereo receiver , speakers , or other audio device.